It’s a golf tournament with a name that shows how much fun golfers will have playing and how much fun the committee has planning it. Martin, who serves on the committee for the “Tee Off Fore Tatas” golf tournament, has worked in the apartment industry for 22 years. She has been involved in several community outreach efforts but she is most proud of her work with the tournament. 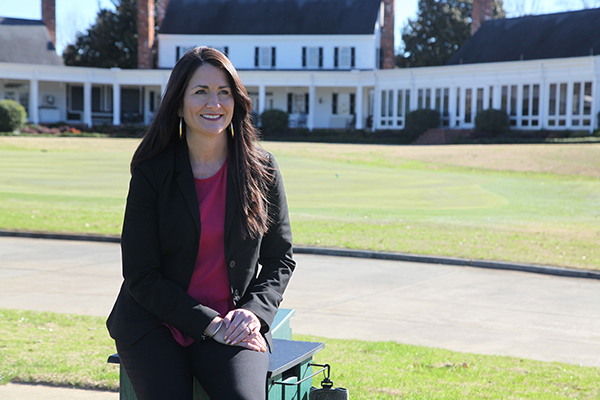 The Apartment Association of Greater Augusta (AAGA) hosts “Tee Off Fore Tatas”. In the early stages of planning the 2010 AAGA charity golf event, Martin suggested that the committee choose one charity to donate funds to year after year instead of changing the organization and theme each year. Martin’s grandmother was a breast cancer survivor. She’s also seen friends and co-workers battle the disease during her lifetime. The first “Tee Off Fore Tatas” golf tournament raised just over $2,000. That was in 2009. This year’s tournament, held in October, raised over $26,000. The golf tournament isn’t the only way Martin participates in affecting the lives of cancer patients. ATC Development works with the Georgia Cancer Center to identify a family in need of an apartment during their visit to Augusta for cancer treatment. Martin and the team at ATC have helped house seven patients since the summer of 2017. We want to connect with you and your community! Learn more about the Georgia Cancer Center’s Office of Community Information and Awareness and how you can connect with us, at augustahealth.org/catalyst.